The largest consumer golf show in the country and have been putting on the show for over 25 years. We have the largest selection of golf gear, apparal and golf travel destinations. Dont miss out on the best prices and the best golf show around! The Hyatt Place is attached to the Suburban Collection Showplace where the golf show is held. This accommodation is great for out of town exhibitors. No traveling involved, once you arrive to the show. The Michigan golf show has many exciting events going on all weekend long. Garland Resort's Putting Contest and On The Dunes Sport's Hole In One Contest along with Birdie Ball Contest for the whole family to enjoy. Trick Shot Master Peter Jonhcke will be performing all weekend long. Check out our Stage Schedule. The largest consumer golf show in the country. With the largest selection on golf gear, apparal and golf travel destinations. Dont miss out on the best prices and the best golf show around! We offer a coupon to attend the Michigan Golf Show. Visit our website to receive your discount. 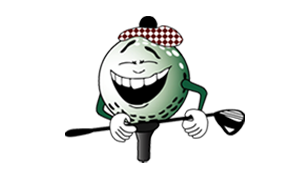 The Michigan Golf Show opens Friday March 9th, 2018 at 2pm. The show runs all weekend long. Visit our website for a $2.00 OFF Admission Coupon. Exhibitors looking to attend the largest golf show in the country? We have over @ 400 exhibitors at the Suburban Collection Showplace, a 300,000 sq. ft. venue drawing over 38,000 people throughout the weekend. Dont miss out on the chance to be apart of the best golf show out there. To attend the the Michigan Golf Show, fill out the exhibitor contract, sign the rules and regulation and mail or fax it in. We will contact you once we receive your information. For any additional information please feel free to give us a call.